Buckland Manor, near Broadway, dates back to the thirteenth century and is set in glorious grounds featuring immaculate gardens with running stream, small waterfalls, croquet lawns and tennis courts. 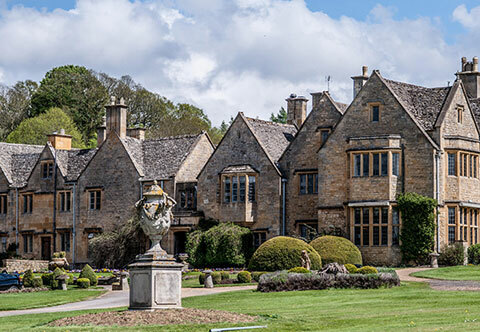 Buckland Manor is one of the finest manor houses in the Cotswolds, with a heritage dating back to the 13th Century. The Manor is located in a breathtaking setting next to the church with ten acres of gardens rolling into the surrounding countryside and based in the tiny village of Buckland.